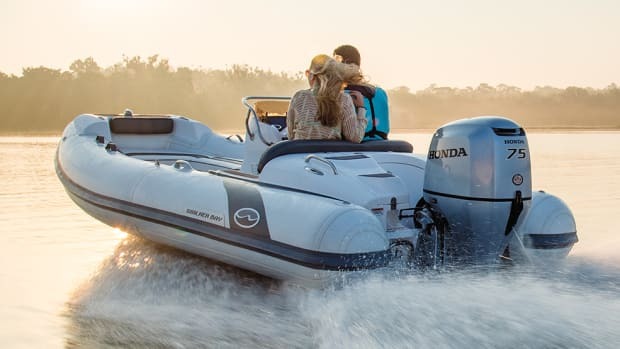 The problem with outboard-powered tenders is that the outboard, when tilted up, adds considerable length to the basic boat for storage. 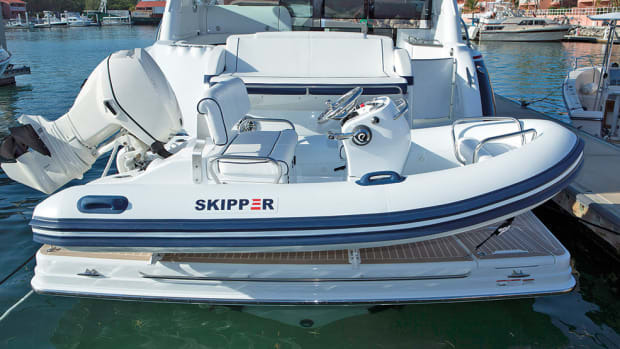 The goal of Palm Beach Tenders, a Florida-based collaboration with Princess Yachts, was to create an intelligent solution, resulting in their patented electro-hydraulic transom that folds the outboard into the aft section of the tender at the touch of a button. 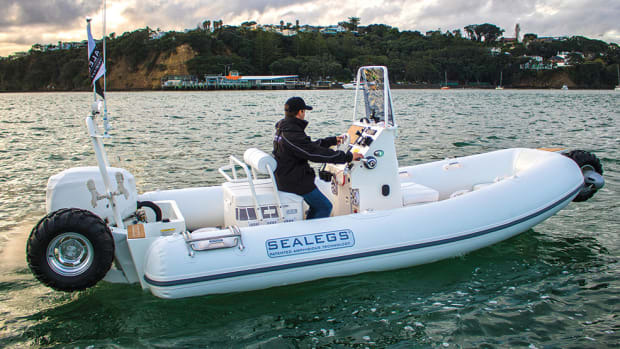 This allows a larger tender to be stored in the same area or transom garage, as well as making launching and recovery easier. 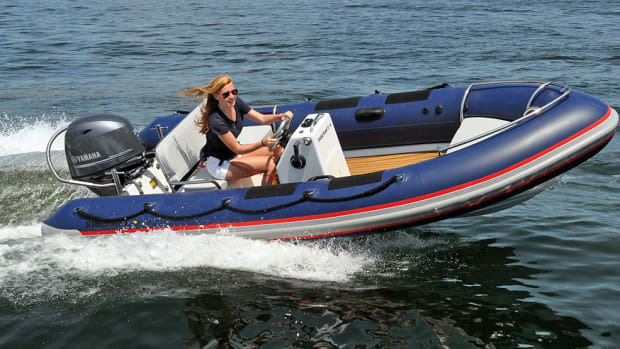 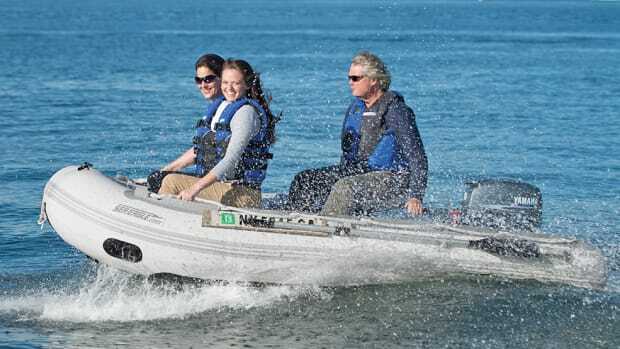 The Palm Beach 1200C is an 11-foot 9-inch center console RIB that carries five adults (567 pounds.) 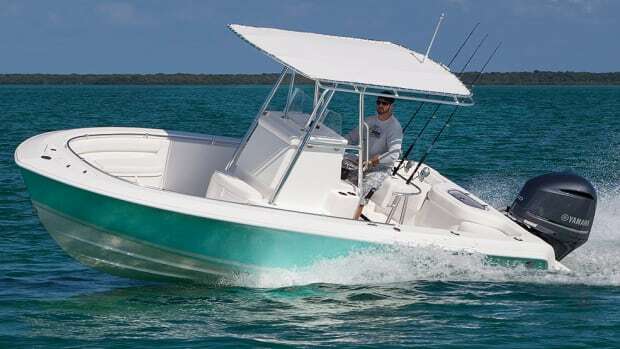 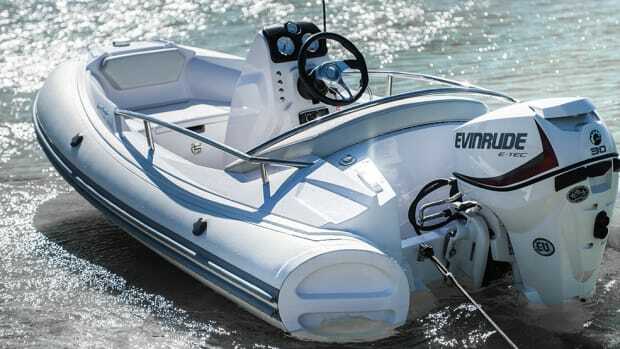 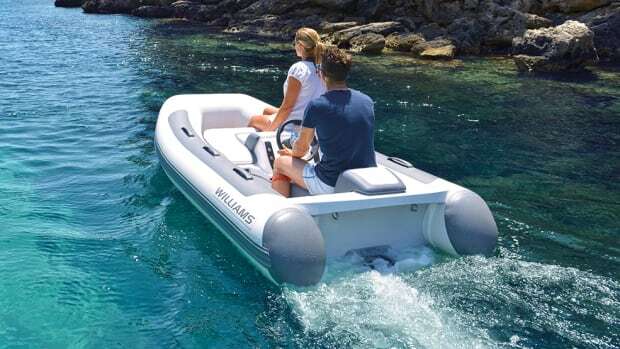 and is powered by an outboard up to 40 horsepower. 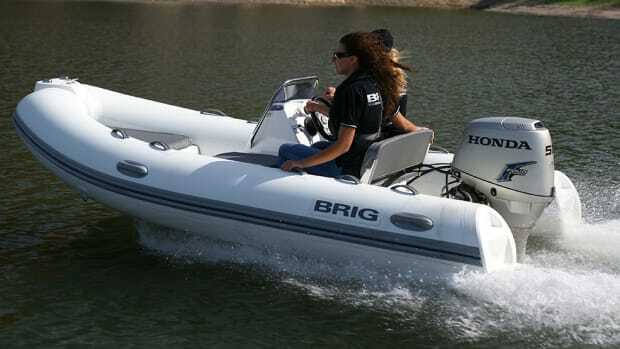 The console has a bench seat and hydraulic steering, and there is additional forward seating. 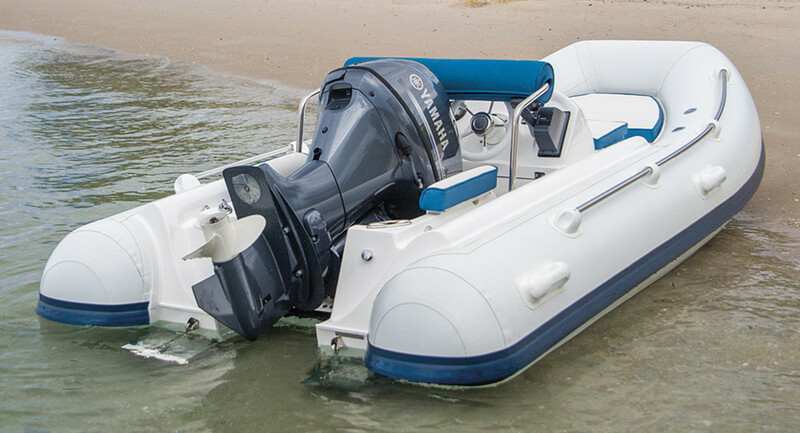 Control of the movable transom is from the dashboard or a handheld remote.